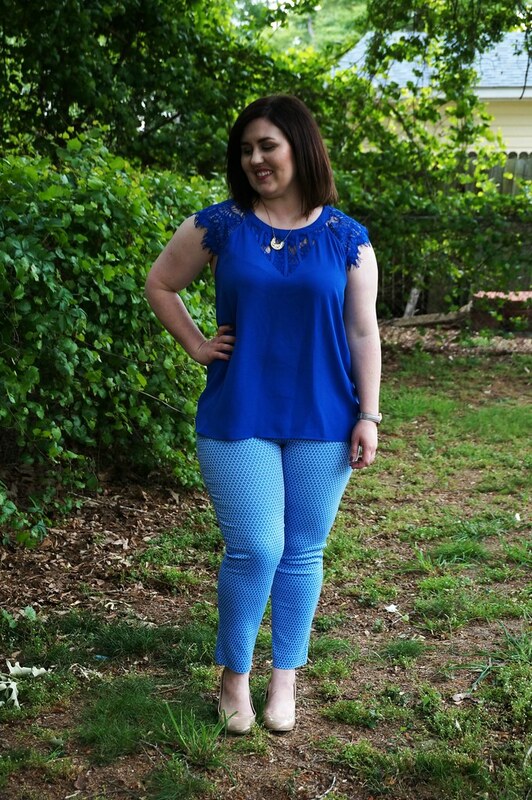 I used my Stitch Fix referral link throughout this post. 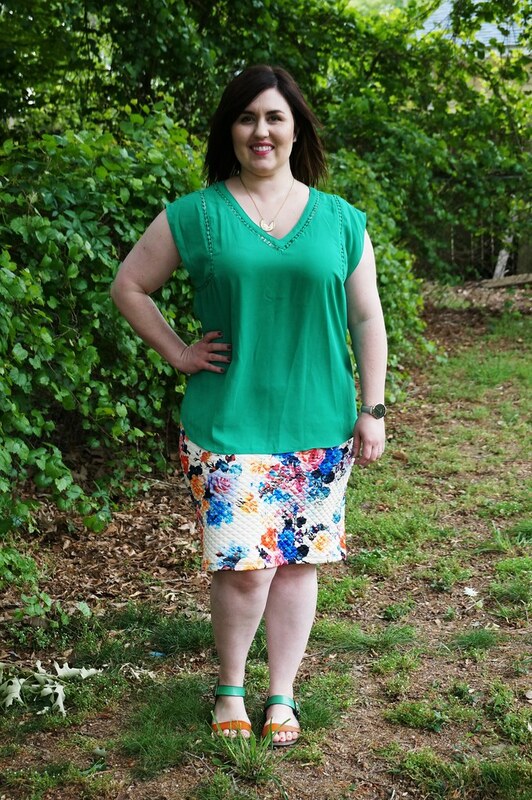 I really felt like my wardrobe needs to be refreshed for spring, so I schedule a fix! In my note to my stylist, I only asked for spring colors! I didn’t have any requests for specific types of clothing, but my stylist (Nicole. I always request her) hit the nail on the head. There were some fit issues, which I describe below. I paired these two pieces with each other and really like the color combination. This top really needed to be tucked into the skirt, but the skirt was a size too small. The top was a size too big, which was ironic. I’m smaller on my top than I am on my bottom, so these sizes were literally the opposite of what I needed. The colors are so me. The top is in my favorite shade of green. This skirt is something that I would’ve never picked up for myself. It’s quilted, super soft, and very stretchy. I sent both of these items back. When I pulled these two items out of the box, I knew I would love them. The blouse surprised me, because I generally avoid anything sleeveless or cap-sleeved. But, this is so gorgeous! The size was wrong, though, and I’m not sure if a size L would have been right. It is the perfect size from my chest to waist, but the armholes were quite big. I just could not get over this top, it’s so pretty. But, for $68, I don’t want to pay extra money to have it tailored. Oh, but the pants! I have a couple pairs of the Emer pants, which I love. However, this was my first pair of petite Emers. The rise of these pants fit me so much better, but I really could have used an XL. I believe these would have a stretched a bit if I wore them to work, but I couldn’t figure out how these pants would fit into my wardrobe. If I purchased this top, they would obviously go together. If I had only purchased the pants, I could only think of one shirt that would go with it. Sadly, I returned both of these items. I couldn’t justify paying $166 for two items that wouldn’t mix and match with most things in my closet. It was so hard to send them back, since Nicole nailed my style so well! I was so excited to get my first pair of shoes in a fix! These are absolutely gorgeous. I love the bright colors and the floral print. The style is quite ‘me.’ These are the kinds of shoes that I would wear to work or church. 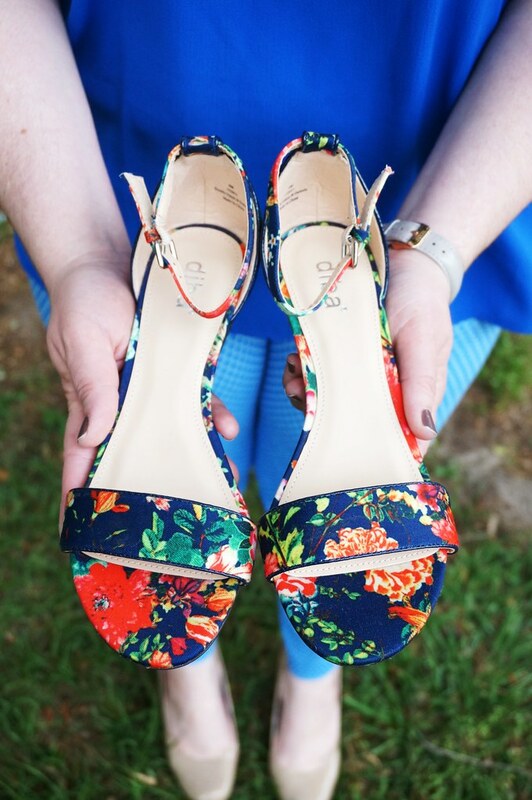 The style is classic but the bright floral really makes them fun. Unfortunately, they were not comfortable on my feet. My feet are wide at the front and skinny at my ankles, so it’s really hard to find shoes in this style that fit my ankle and the front of my foot at the same time. Usually, the front band is not wide enough, and that was the case with these shoes. Sadly, I also returned these. What you gotten in your fix lately?